The political boundaries are getting clearer ahead of next year’s election, expected in February. Three camps will be competing in a mathematically sensitive race for power — the pro-Prayut alliance, the Pheu Thai-led coalition, and the “sitting-on-the-fence” group headed by the Democrats. 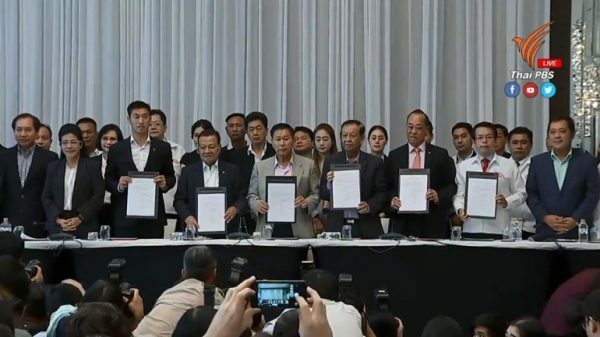 The first includes the Palang Pracharat Party, the Action Coalition for Thailand Party (Ruam Palang Prachachat Thai) and the People Reform Party (Prachachon Patiroop). This alliance needs to win only 126 seats to effectively enable Prime Minister Prayut Chan-o-cha to remain the chief executive after the election, assuming that the 250-strong Senate endorses Prayut’s nomination en bloc. Palang Pracharat belongs to the famous “three friends”, who are former top warriors of Thaksin Shinawatra. 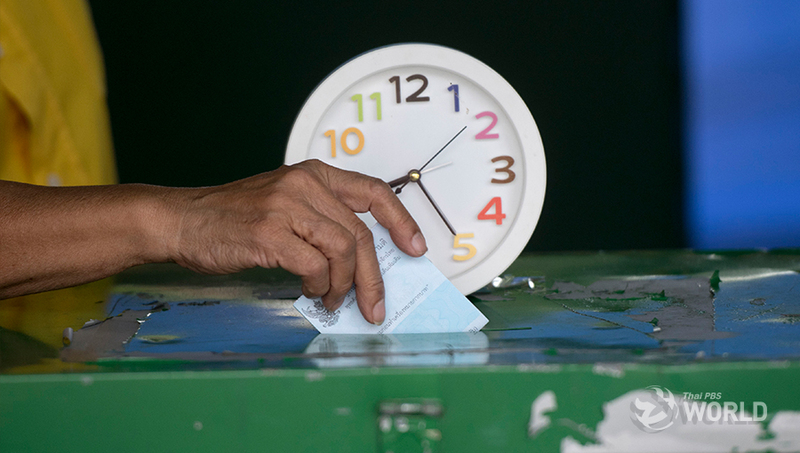 This party has been accused of “sucking” a few election veterans from Pheu Thai to boost Prayut’s chances. 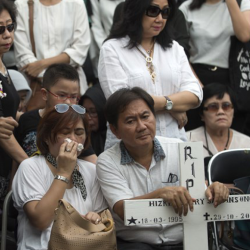 The Action Coalition for Thailand hopes to gain from Suthep Thaugsuban’s popularity during the massive protests against the Yingluck government before Prayut’s 2014 coup. 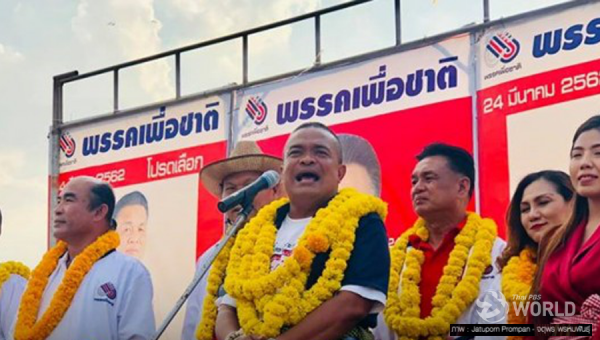 This pro-Prayut alliance’s rival camp comprises Pheu Thai and its allies or associates, which include Pheu Tham, Puea Chat, Prachachat, Thai Raksa Chat, Seri Ruam Thai and Future Forward parties. This coalition has to win 376 seats altogether to shut out Prayut completely, but even if they win fewer seats than that, they can still cause Prayut serious problems. The House of Representatives has a total of 500 MPs. A simple majority, or 251 seats, will not be enough to secure the premiership in this election as the Senate is provisionally empowered by the Constitution to join the lower House in voting for the post-election prime minister. However, such a simple majority can legislatively destabilise a Senate-backed prime minister in several ways. This anti-Prayut coalition is apparently trying to implement a “satellite” strategy. 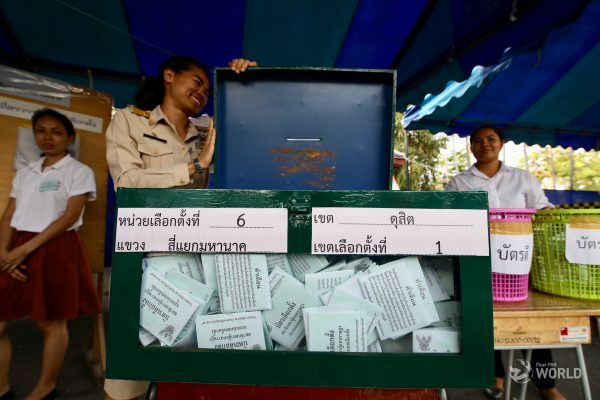 Instead of fighting Prayut with one big party, it is hoping that “quantity” is the way to go in this election, after which an unprecedented seat rationing system benefitting “lesser” parties will be implemented according to votes each party gets. 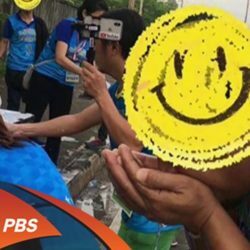 The third alliance is loose and can break easily. It is led by the Democrats and includes the Bhumjai Thai, Chartthaipattana and Chart Pattana parties. If the first two camps could not win clear-cut parliamentary control, this third group a very influential kingmaker. 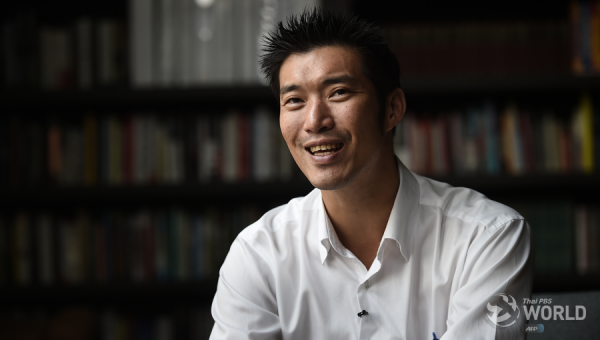 Some analysts have begun to believe that this third alliance can pounce and take the prime minister post itself, if the battle between the pro- and anti-Prayut camps ends in a sticky impasse. With the Democrat Party too explosive a name, Bhumjai Thai could be propped up by this third alliance to vie for the premiership. In other words, in addition to Prayut, Pheu Thai’s prime ministerial candidate, Bhumjai Thai leader Anutin Charnvirakul is standing an outside chance of becoming prime minister. The Democrat Party’s Abhisit Vejjajiva cannot be ruled out either, although he has a mountain to climb and an internal leadership election to overcome first. Much will depend on how many seats each of the three alliances gets. A landslide will rule out or subdue the possibility of nasty horse-trading. But if the election cannot produce a clear-cut winner, a period of extreme suspense will ensue.